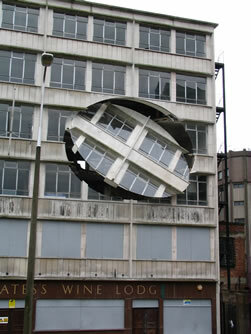 As part of Liverpool08 European Capital of Culture, there were a huge number of events and displays, including large artistic installations. 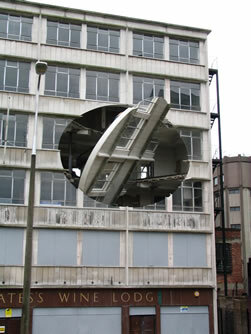 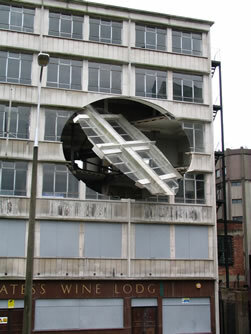 One of the installations was called "Turning the Place Over", created by the artist Richard Wilson. 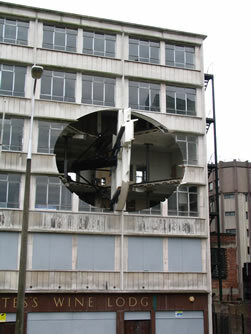 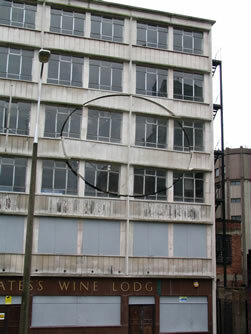 It runs in daylight hours, triggered by a light sensor and involves revolving a huge (8 metre diameter) circular disk which was cut from the front of an old office block. 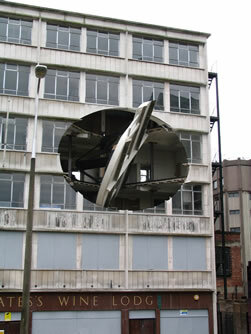 An axle and motor was attached to the disk to, literally, turn it around. 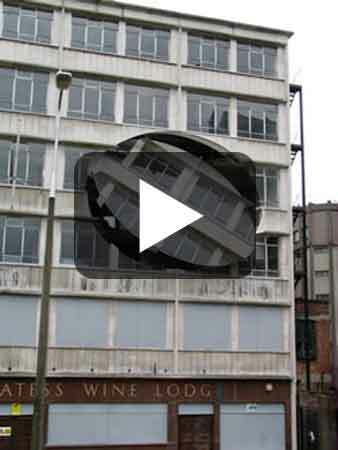 Can you work out how the axle must have been placed and attached to achieve the effect shown in the video and accompanying still photographs? 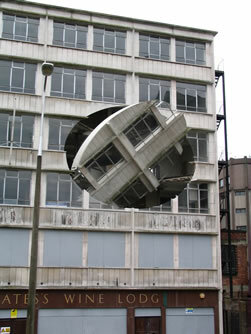 Try making some models of your own which achieve similar effects. 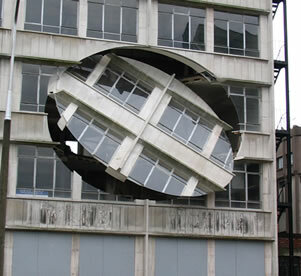 Richard Wilson was born in Islington, London, in 1953. 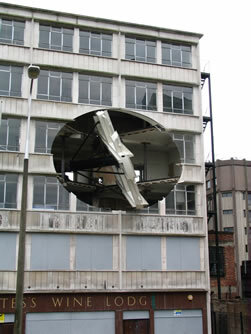 He is a sculptor, installation artist and musician. 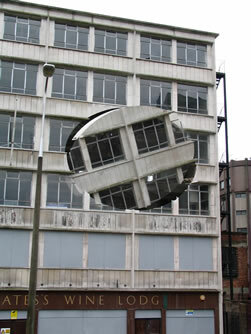 He studied at the London College of Printing, Hornsey College of Art and Reading University. 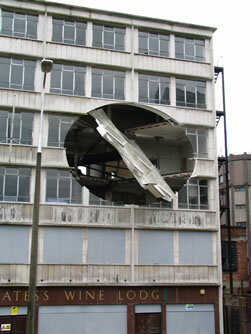 Amongst his many other experiences, he was a Visiting Artist at the Architectural Association in 1998 and nominated for the Turner Prize twice.